From beginner to experienced, our modern racquet facilities provide great playing opportunities for everybody. Keep fit on court or take a swing at more competitive play. However you hit it, you'll find our courts packed with features to get the best from your games. Get the latest updates about joining, facility hire and booking a visit. Great for both casual and competition use. World-class squash courts right at the heart of our new sports facility. You'll find six glass backed courts as well as a raised seating area for spectators, including an area with wheelchair bays. Choose how you play with a moveable wall and adjustable tins. Perfect for different levels of play for all ages and abilities. Home to Premier Squash League (PSL) games. Racquet sports are a great way to lead a healthy, active lifestyle. With squash, badminton and tennis available, there's no reason why you shouldn't get on court and make a racket. Everyone can enjoy badminton at all levels on our high spec courts. 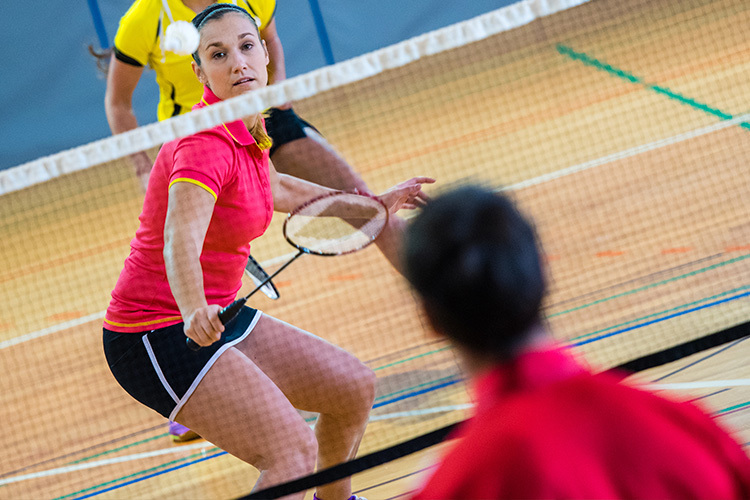 With a surface to help improve player performance, our sports halls can host up to 16 badminton courts. Our multi-purpose sports hall offers tiered seating and is a fantastic venue for competitive badminton action. Pay & Play available to everyone for only £6.50. If tennis is your game, we have a fantastic tennis centre where you can serve up a game on both indoor and outdoor courts. If you're looking to watch the best squash action, our courts host a number of major club and international events, including the Premier Squash League (PSL). Our badminton courts are also competition standard. With retractable tiered seating for over 1,000 people, you'll be well seated to watch all the action. Get the latest updates about memberships, facility hire and booking a visit.